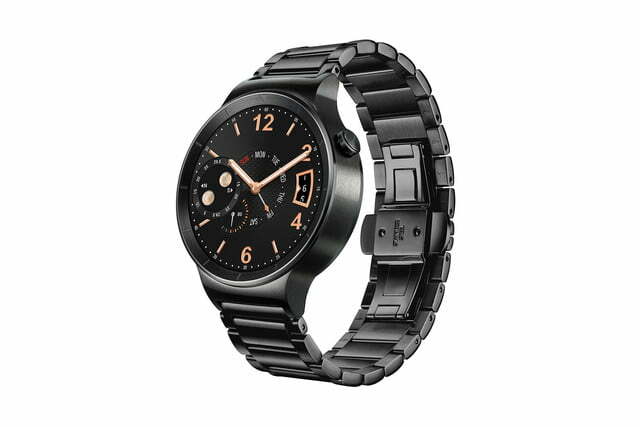 Huawei dazzled when it showed off its first Android Wear smartwatch in 2015, and although we had to wait a while for the release due to software issues and further design refinement, it was worth it. 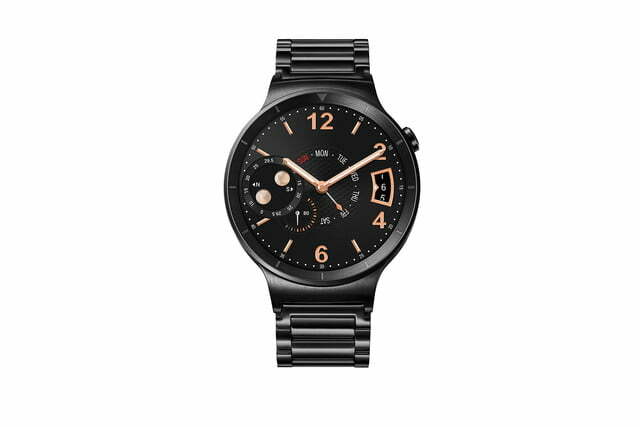 The Huawei Watch remains our pick of the Android Wear world, along with the more masculine Fossil Q Founder, so if you’re considering one for your wrist, here’s everything you need to know about it. 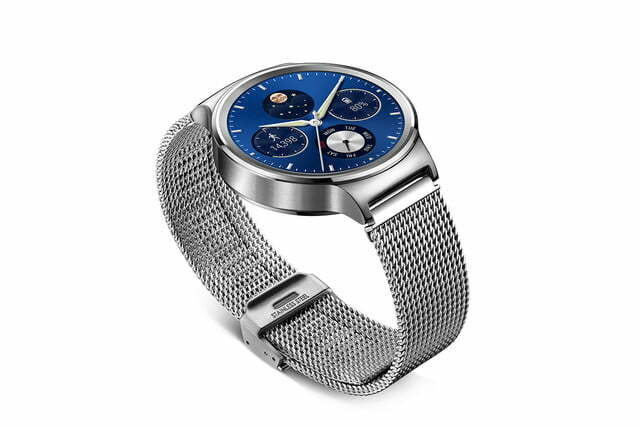 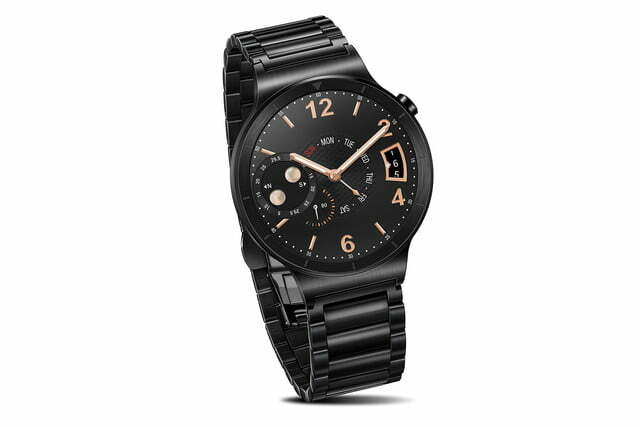 Huawei Watch sales started for the stainless steel and black models in the U.S. in September 2015, through Huawei, Amazon, Best Buy, or the Google Store. 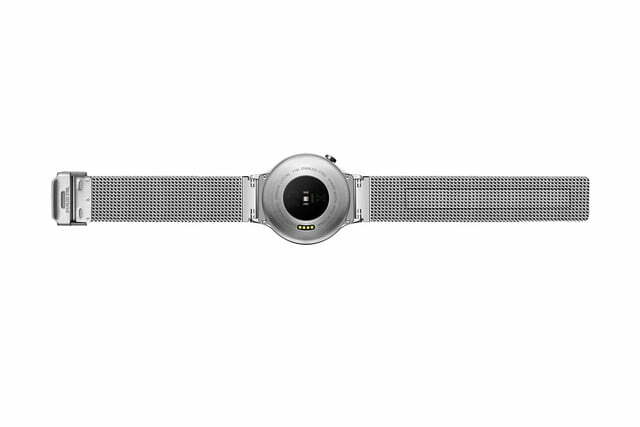 There are a variety of configurations ranging from $350 all the way up to $800. 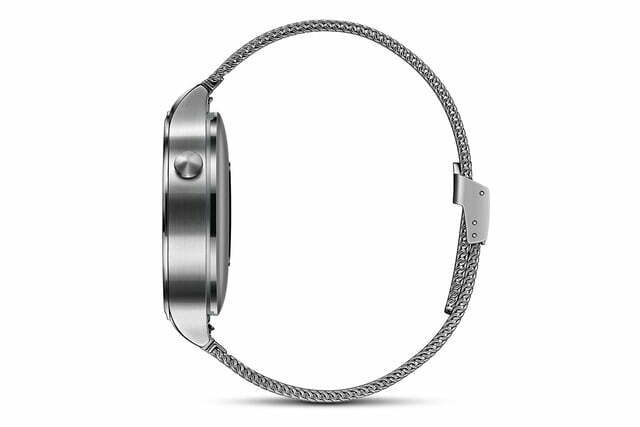 The stainless steel version is priced at $350 if you opt for a leather strap, while the metal bracelet option will bring it up to $400. 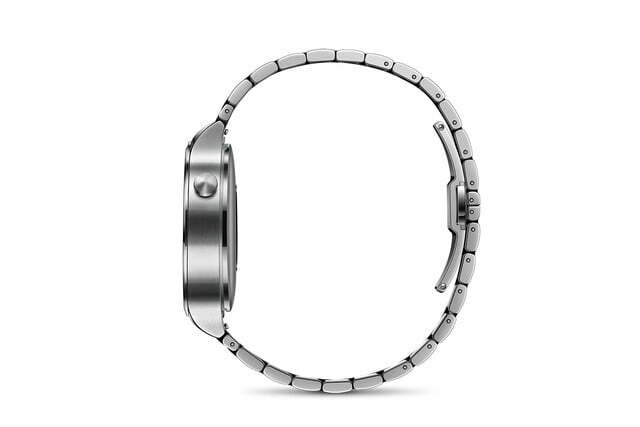 You will have your choice of either a steel link or stainless steel mesh bracelet. 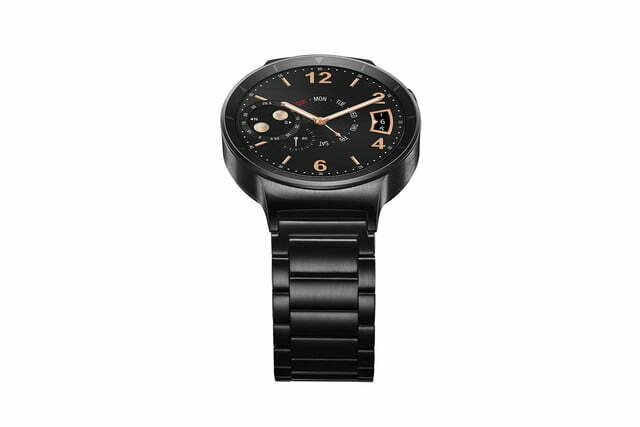 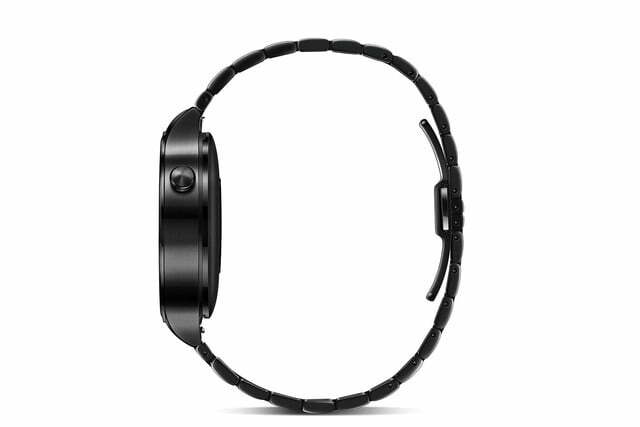 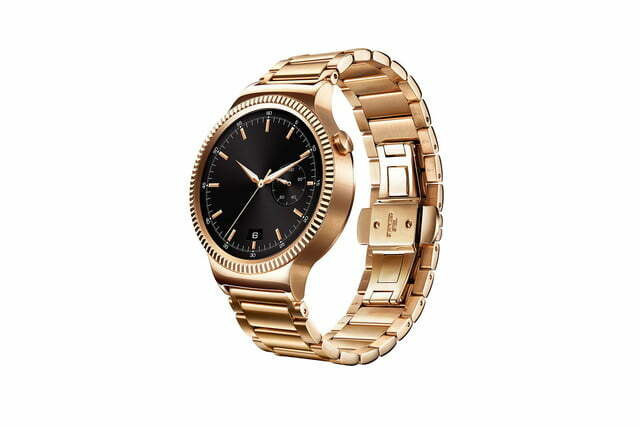 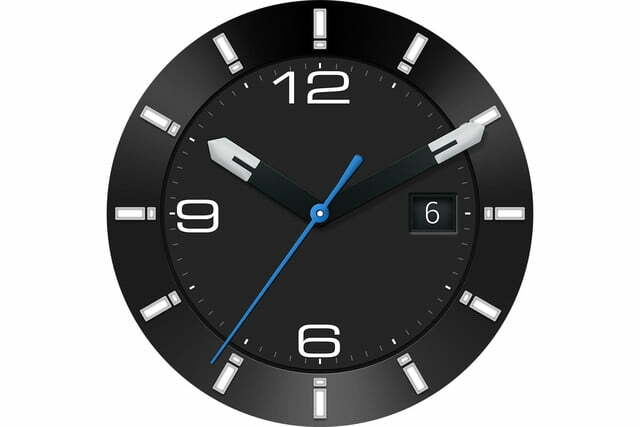 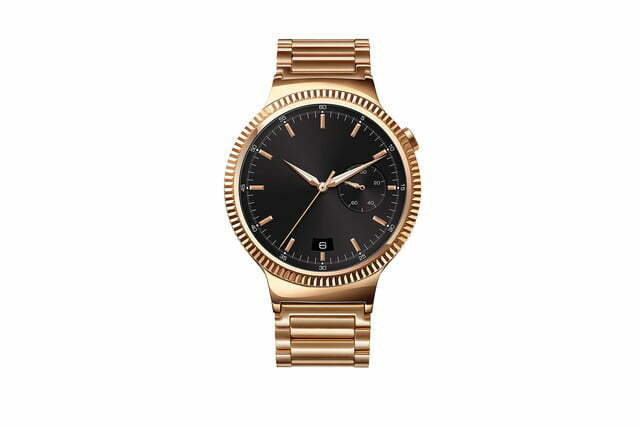 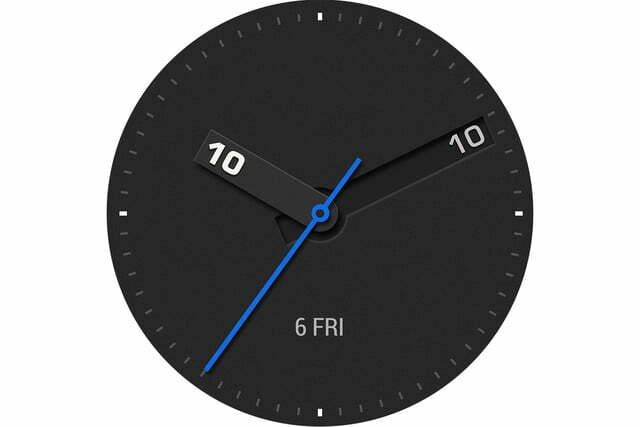 You can also opt for the black-coated steel version with a metal band for $450. 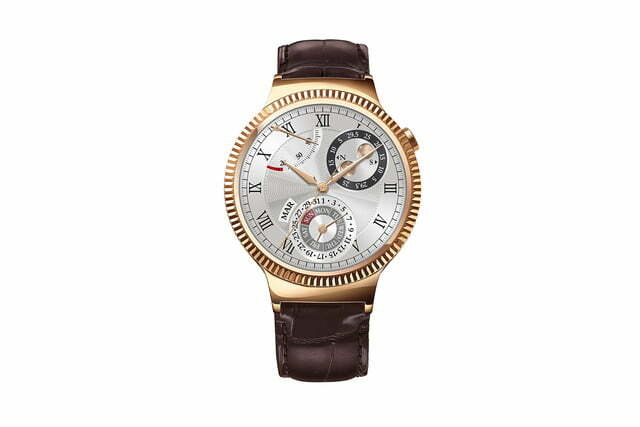 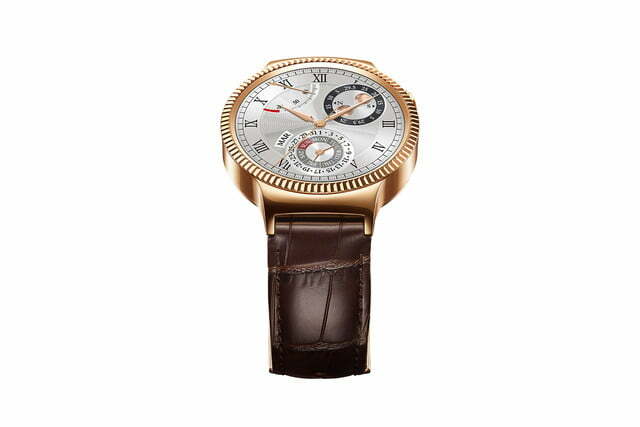 Finally, the rose gold plated stainless steel version will set you back $700 with an alligator-pressed brown leather strap or $800 with a rose gold strap through Huawei’s own online store. 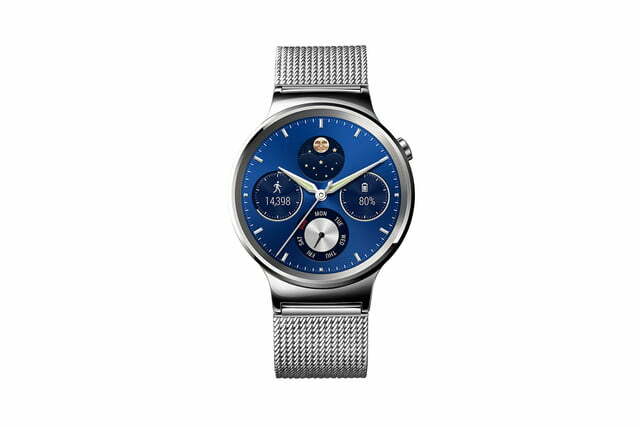 In the U.K., the Huawei Watch is sold through Huawei’s Vmall store, the Google Store, Amazon, and selected Selfridges retail stores. 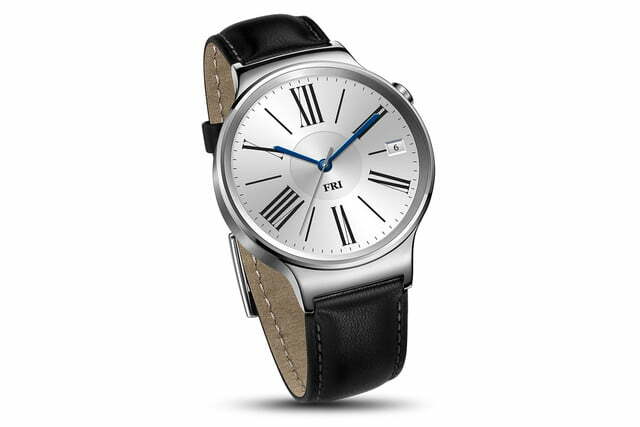 The basic silver with leather band Watch is £290, or £330 with a metal Link or Mesh strap. 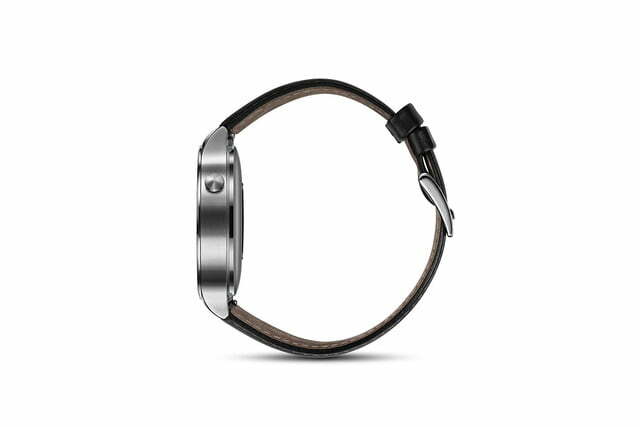 The black model starts at £330 with a leather band, and shifts to £370 with a Link strap. 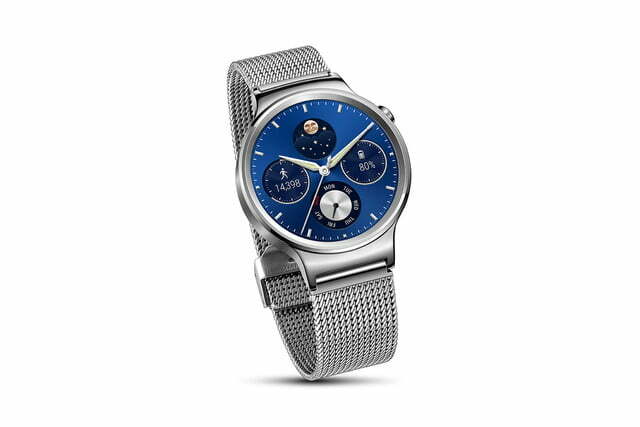 Perhaps you’d like to pick up a Huawei Watch without spending quite so much money? 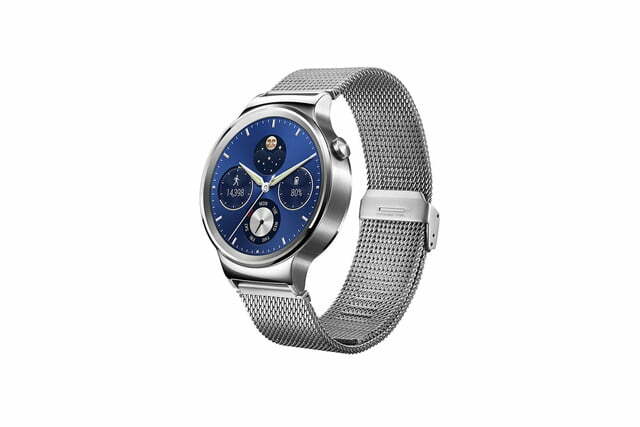 Deals are becoming more common, and the most recent comes from Best Buy where the Huawei Watch has been discounted by up to $150, depending on your model choice. 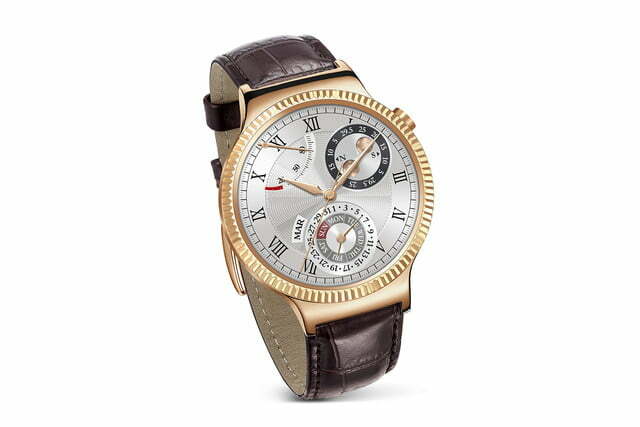 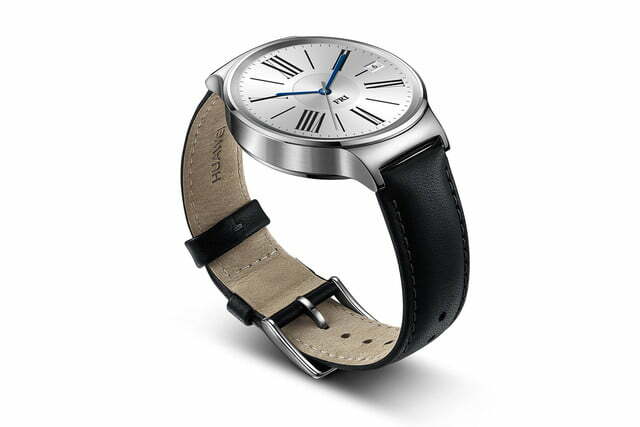 The cheapest is the stainless steel watch with a leather strap that costs $250, down from the usual $350. 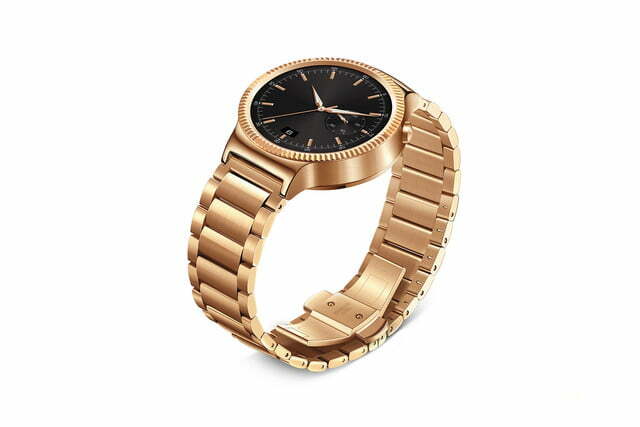 Go for the normally $800 gold model and you’ll pay $650. 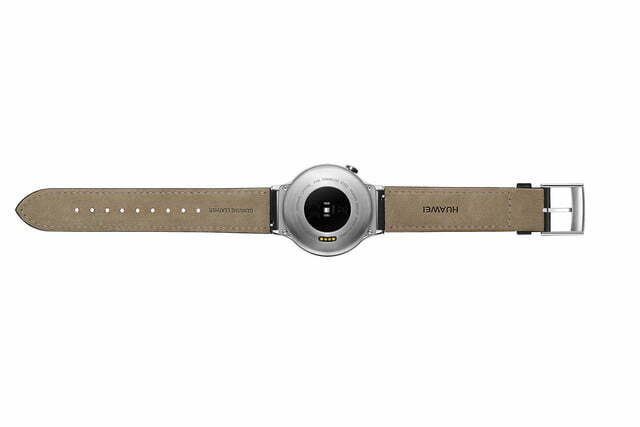 There’s $100 off the metal strap versions, reducing them to $300. 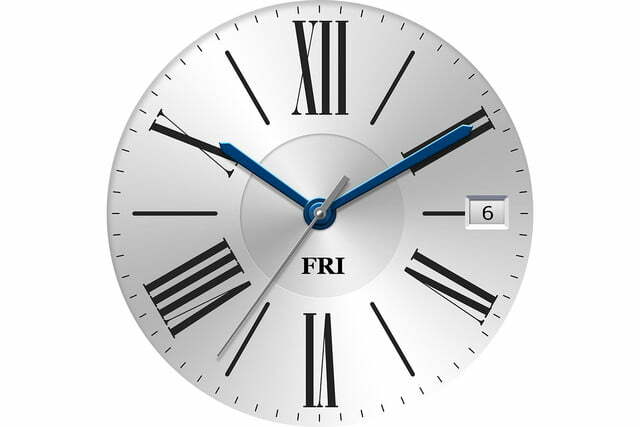 It’s not stated how long these offers will last, so don’t wait around if the price is right for you. 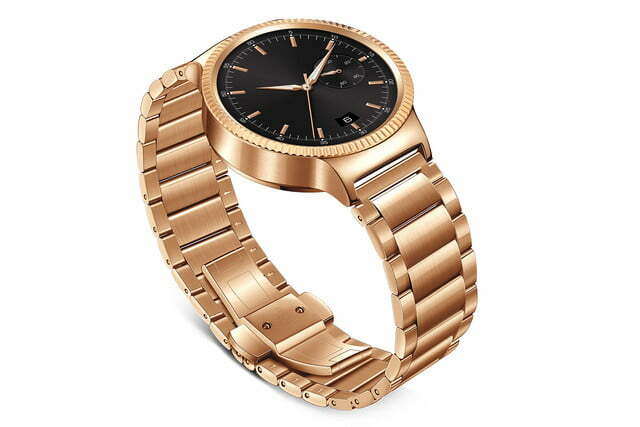 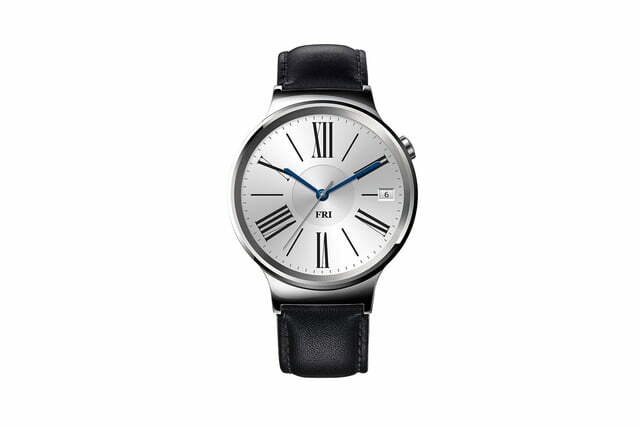 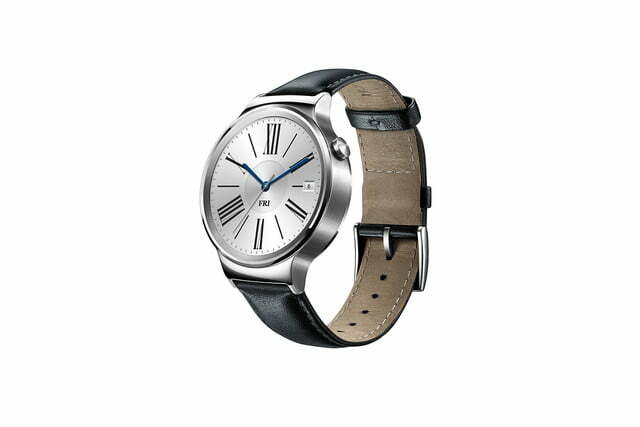 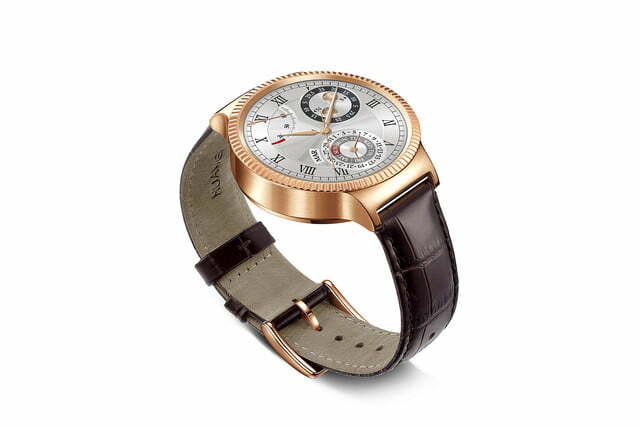 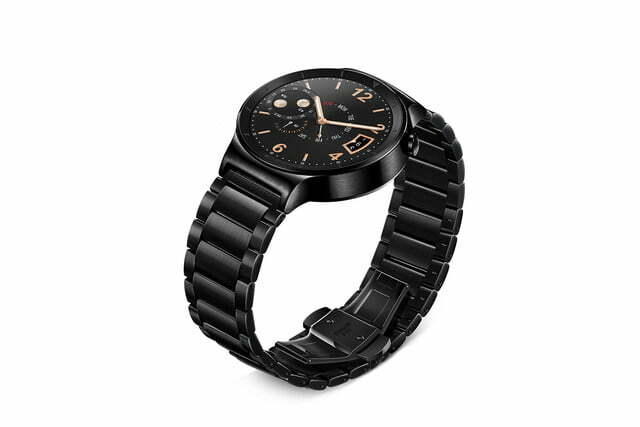 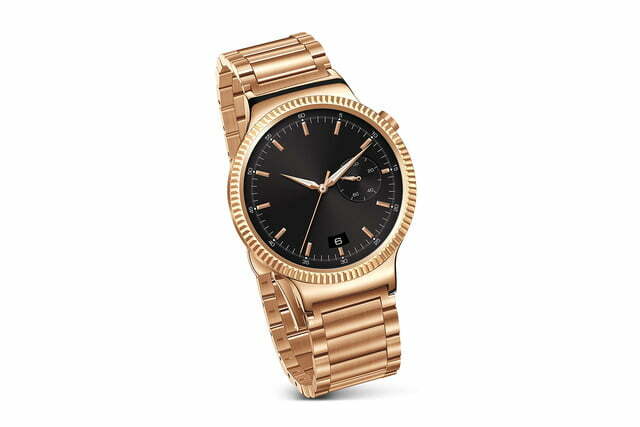 The Huawei Watch is an Android Wear smartwatch with a classic circular timepiece design inspired by Swiss watches. 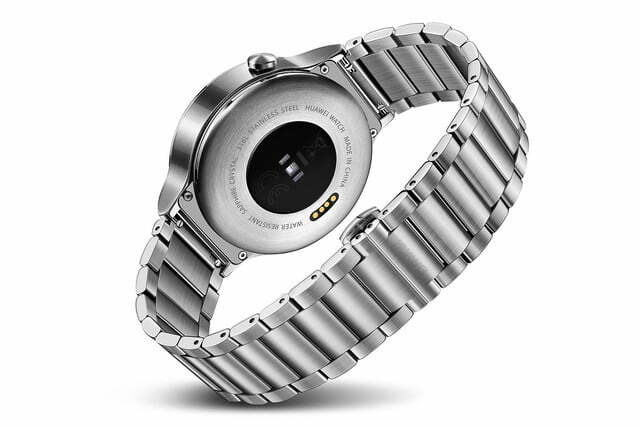 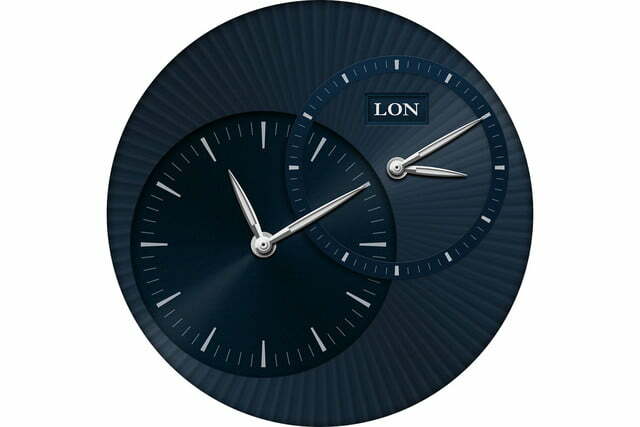 It’s made from 316L cold-forged stainless steel and sports a scratch-resistant, two-layer sapphire crystal display. 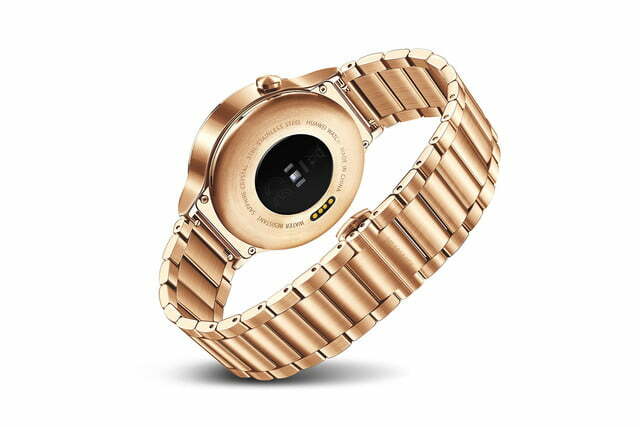 The diameter of the entire watch casing is 42mm, which is the size of the larger Apple Watch. 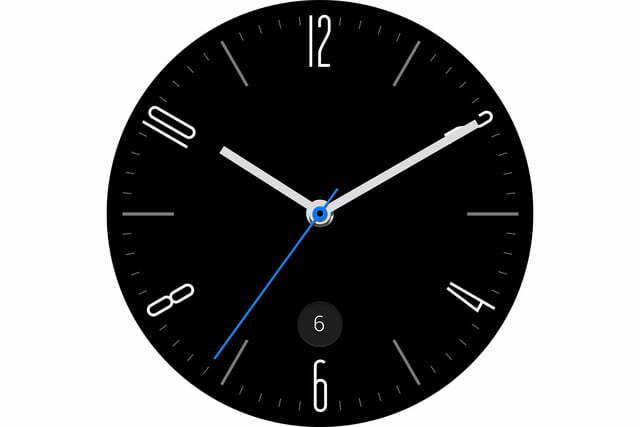 It’s also a little thicker than the Apple Watch (11.3mm vs. 10.5mm). 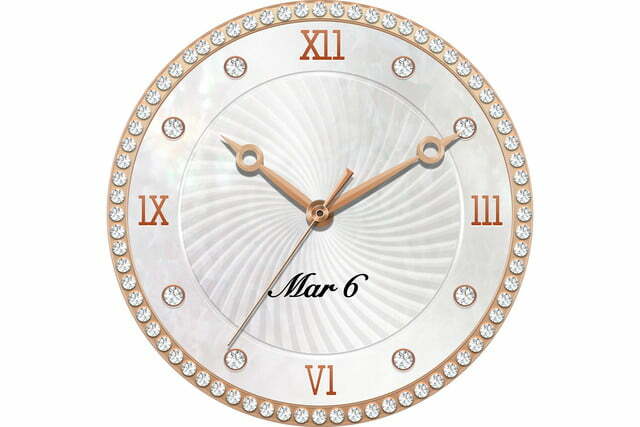 You will also find traditional watch elements, including a crown, frame, and lugs. 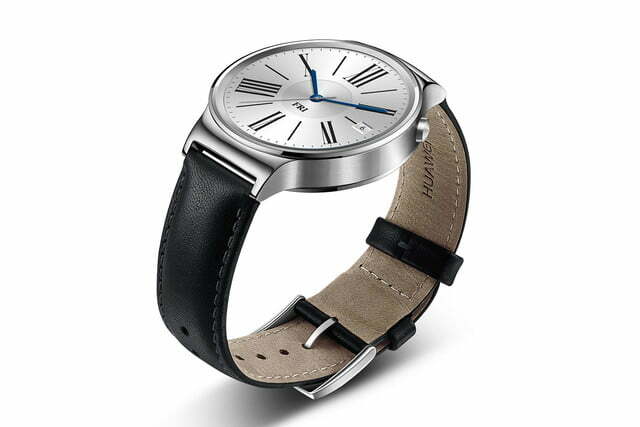 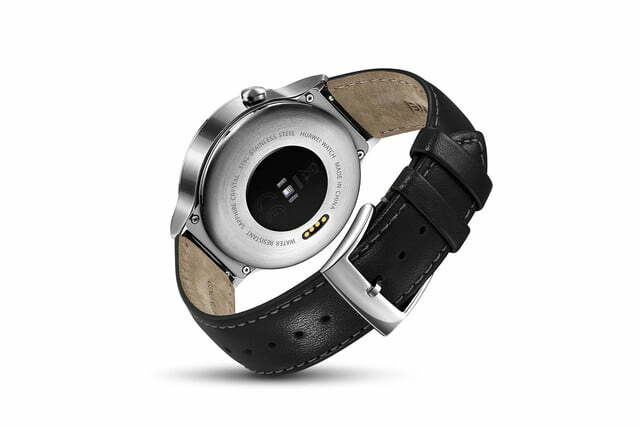 The watch bands are interchangeable, and Huawei offers several options, including stainless steel and genuine leather. And if you hate Huawei’s bands, you can slap on any band that has a lug width of 18mm. 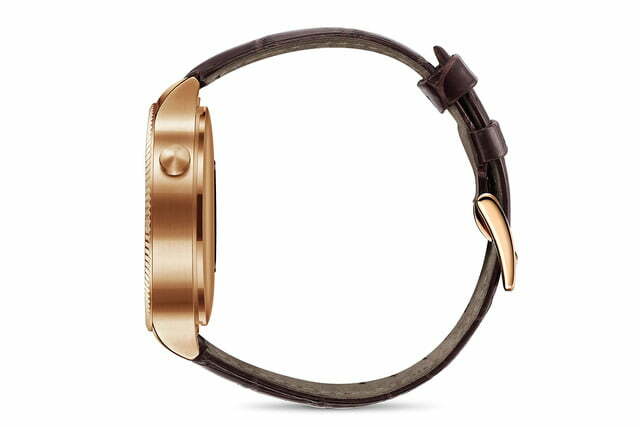 The casing itself comes in the three colors of gold, silver, and black to accommodate differing tastes. The specs of the Huawei Watch are similar to other Android Wear watches except for the display. 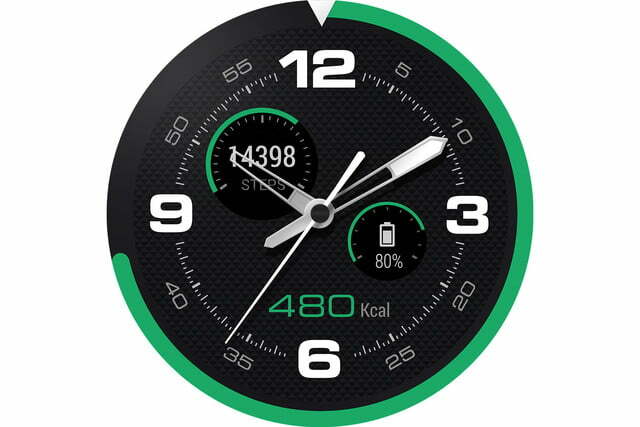 The 400 x 400 pixel resolution display is the highest we have seen on an Android Wear watch. 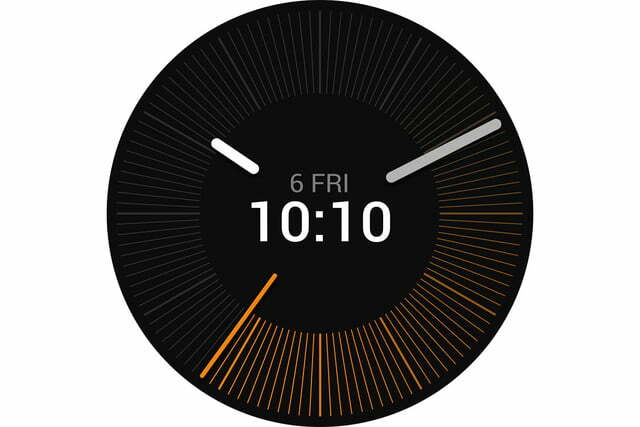 The 1.4-inch AMOLED display should prove to be extra sharp with its 286 pixels per inch. 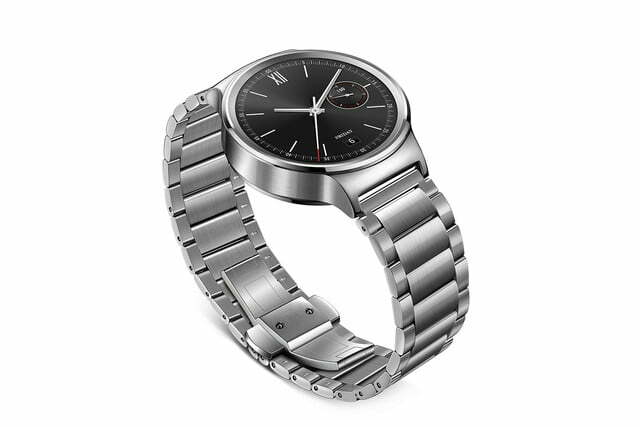 It’s powered by a 1.2GHz Qualcomm Snapdragon 400, and includes 512MB of RAM, 4GB of internal storage, and a 300mAh battery. 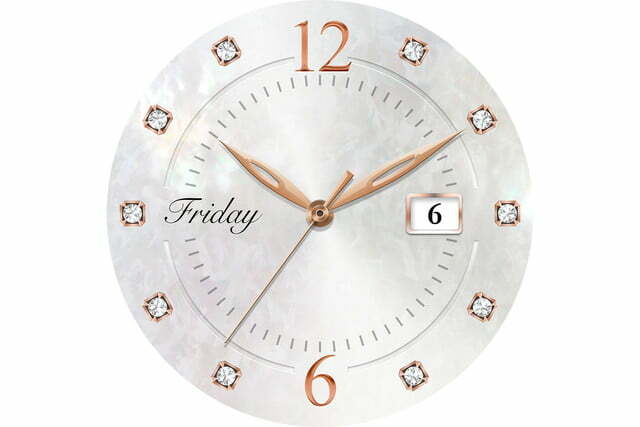 The battery is rated for two days, but we presume that is with the Always On display turned off. 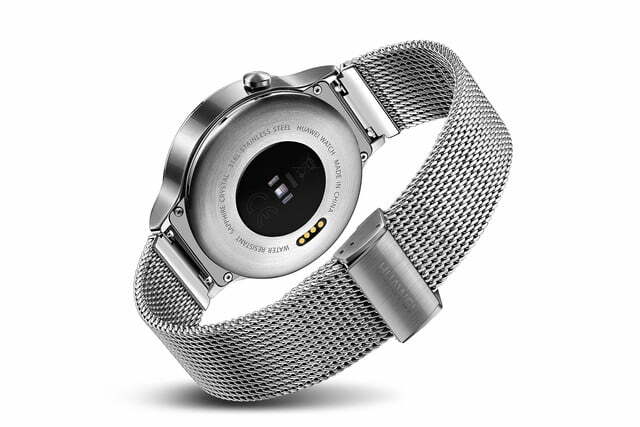 The watch can be charged up to 80 percent in as little as 45 minutes or 100 percents in 75 minutes via the included magnetic cradle. 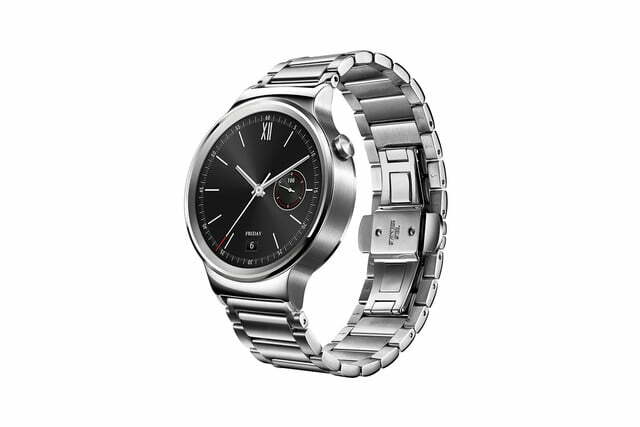 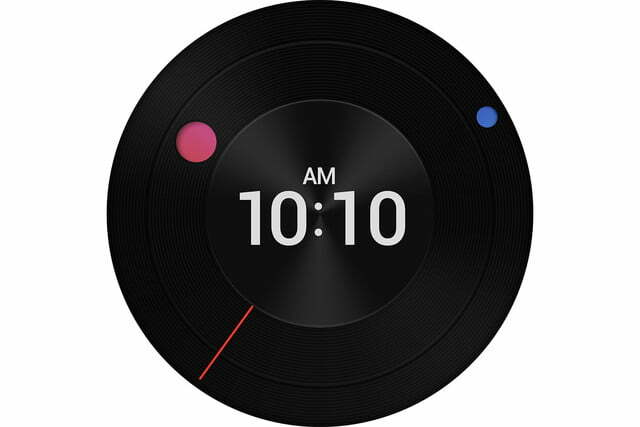 The Huawei Watch runs Android Wear, supports notifications, and works with Google Now voice commands. 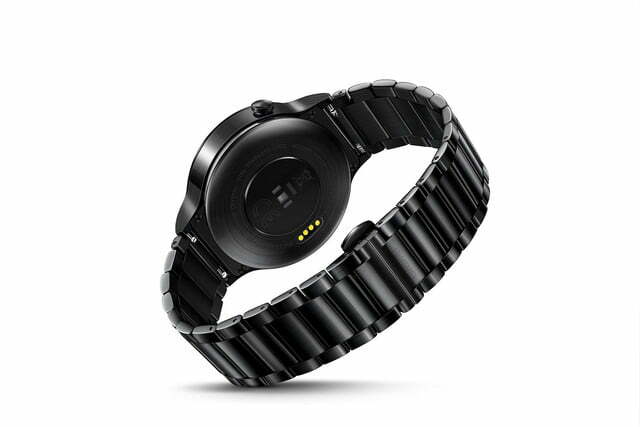 There’s a six-axis motion sensor, a barometric sensor, and a heart rate monitor for measuring activities such as walking, cycling, or climbing. 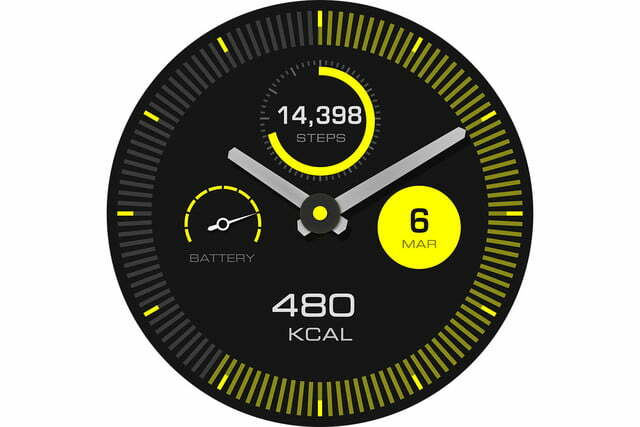 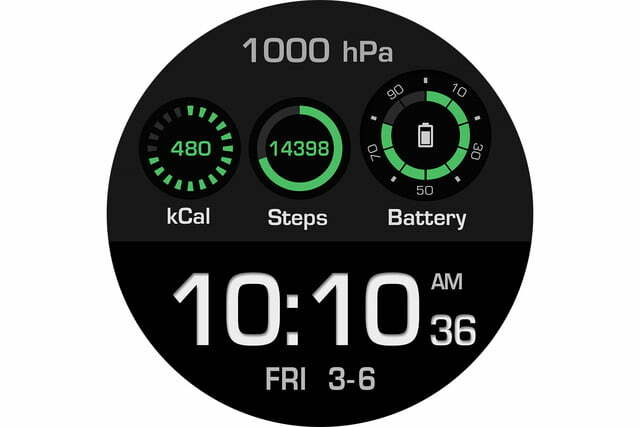 It also calculates steps, calories burned, and your sleep — just like every other smartwatch with Android Wear. 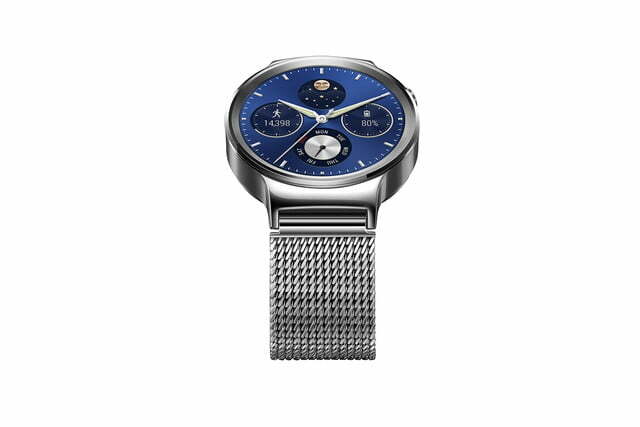 The Huawei Watch was first revealed in early 2015 at the Mobile World Congress trade show in Spain. 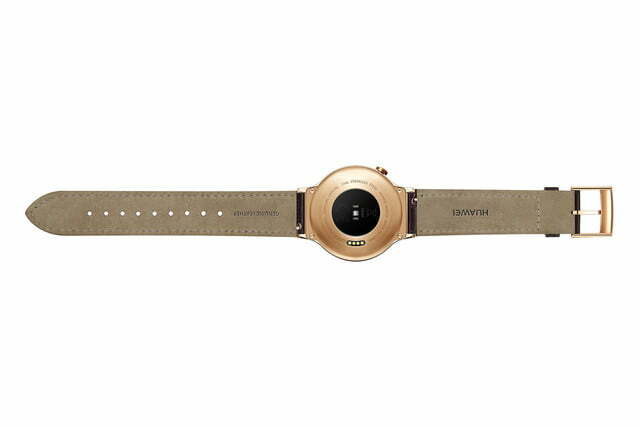 We were at the event, and managed to get some time with the watch. 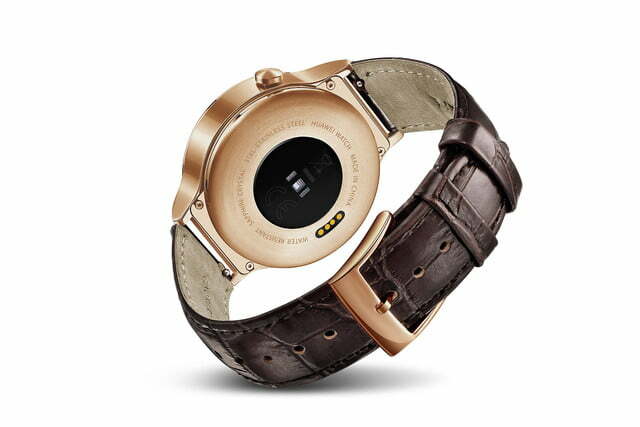 You can see our hands-on video below. 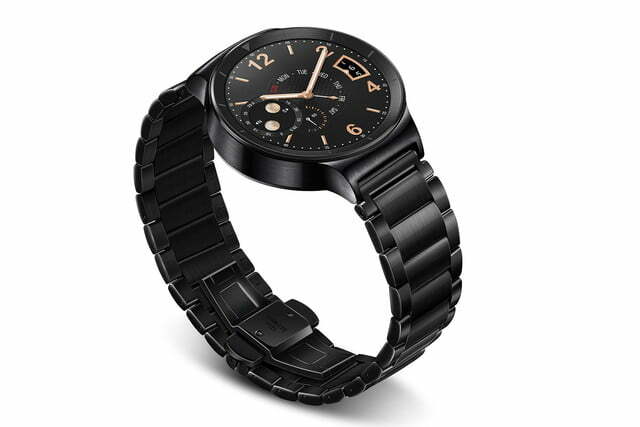 The Huawei Watch took its time to actually go on sale, given it debuted six months before it hit the shelves. 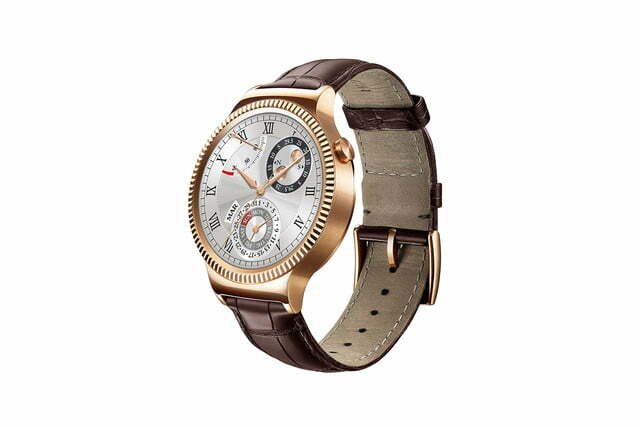 According to He Gang, an executive from Huawei’s smartphone division, the Android Wear platform caused problems. 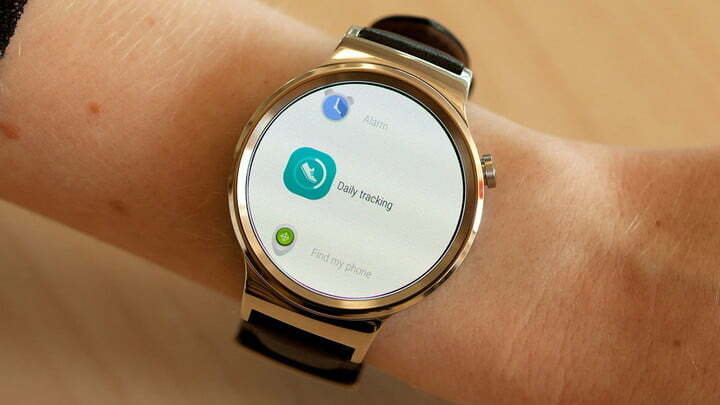 The company adapted Android Wear to work without Google’s services in China, where they aren’t available, and to adopt Huawei’s suite of apps instead. 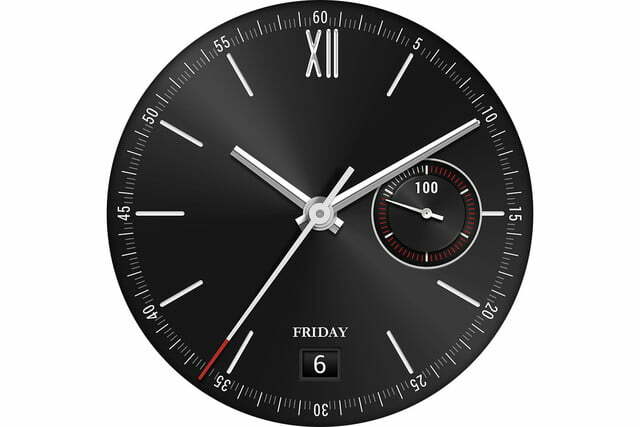 It was a time-consuming and highly technical operation, and apparently forced Huawei to push the release date. 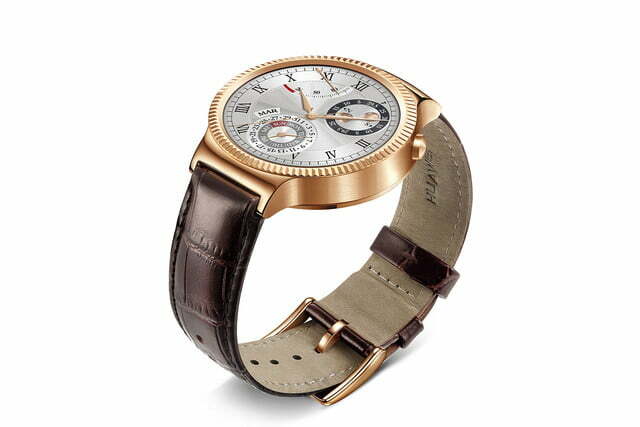 In an interview with The Wall Street Journal in late June, Huawei’s Yang Yong confirmed the delay, and while he stated the international launch would go ahead before the end of 2015, he admitted there could be continued delays in getting the watch on sale in China. 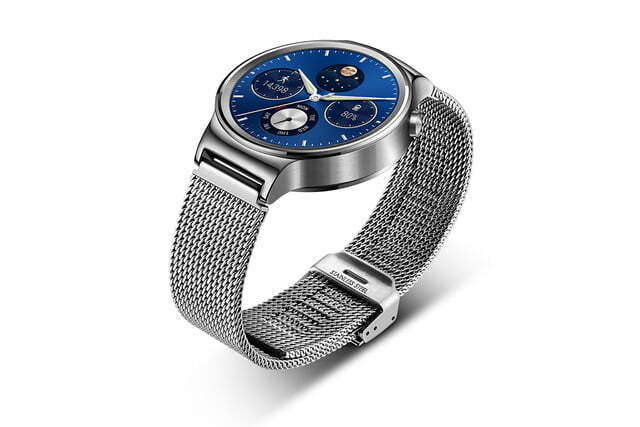 He also said it was Android Wear that has caused the delay, and added that as it’s an entirely new product for the company, issues were to be expected. 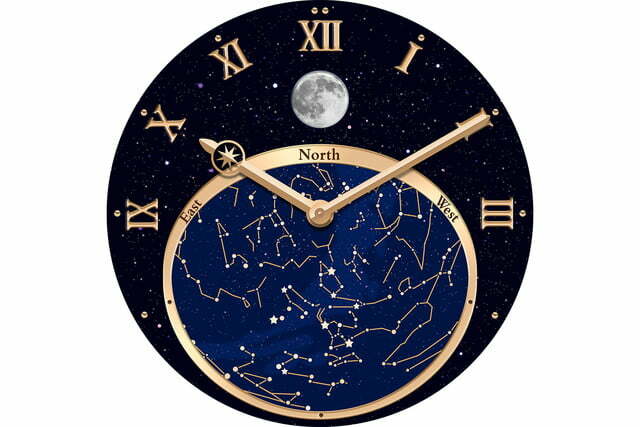 Updated on 09-02-2015 by Robert Nazarian: Added in official specs, availability and pricing. 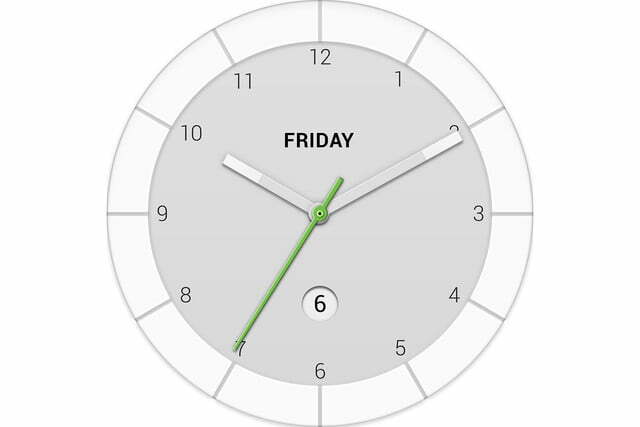 Updated on 06-19-2015 by Andy Boxall: Added in further confirmation of a release delay, along with news of some final design tweaks. 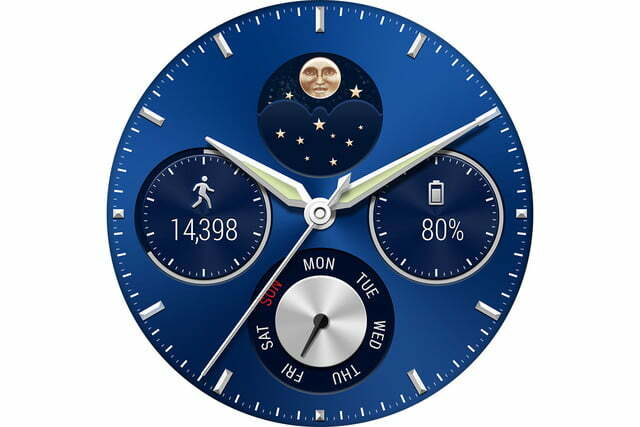 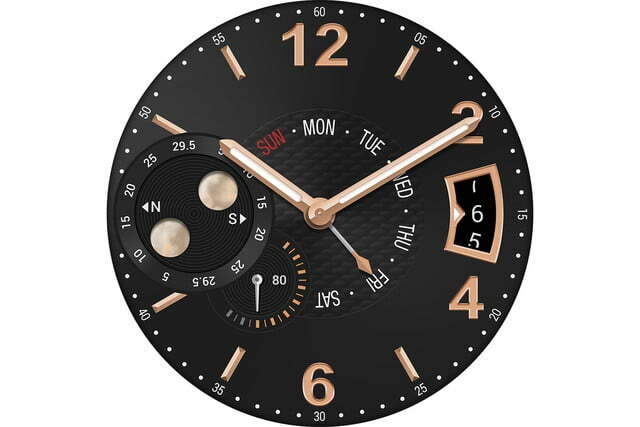 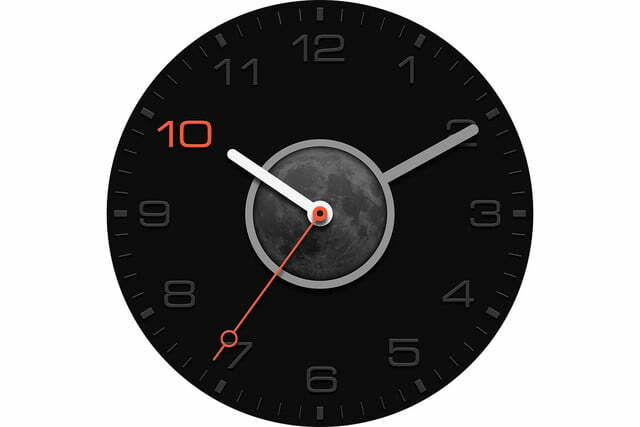 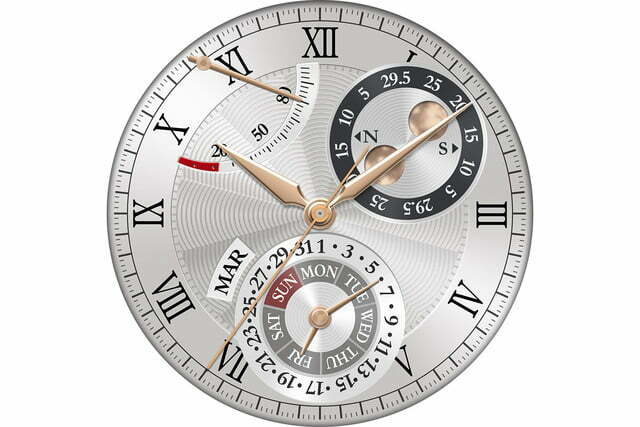 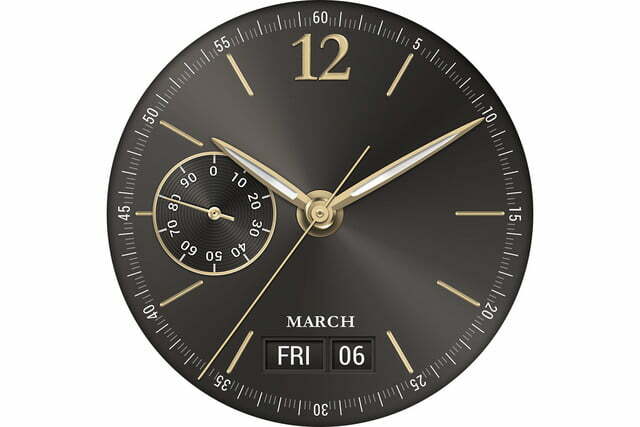 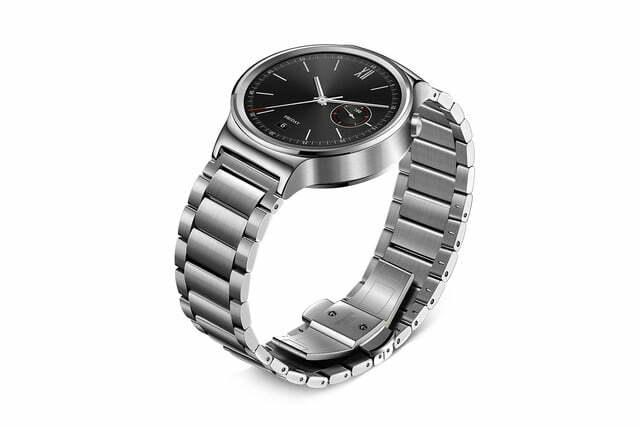 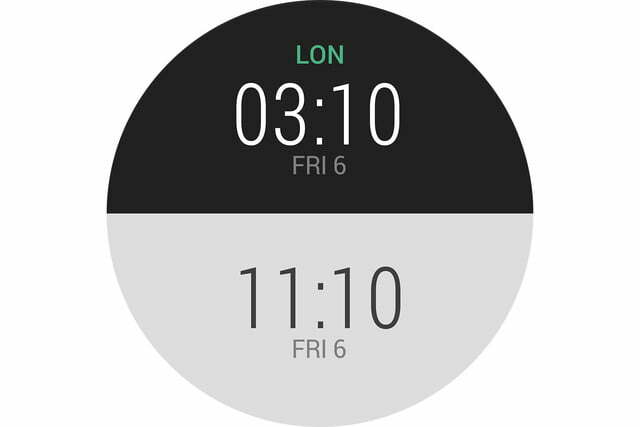 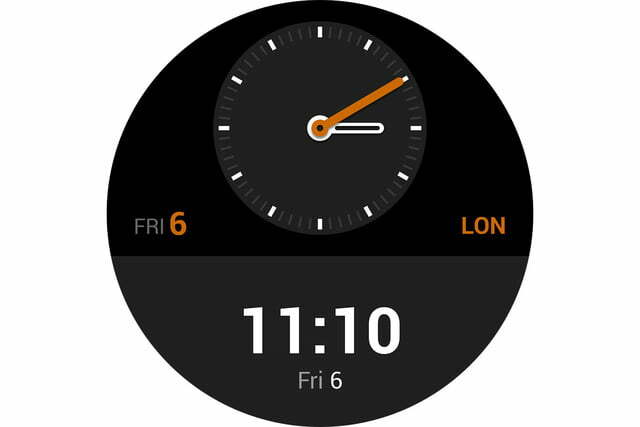 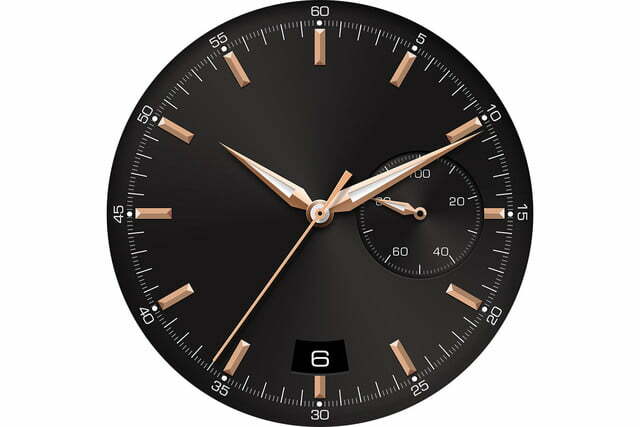 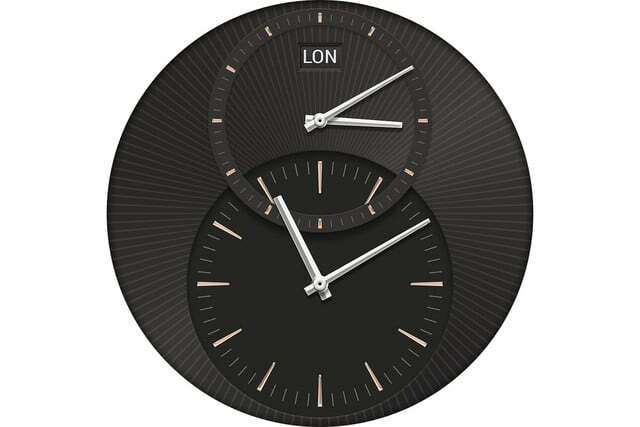 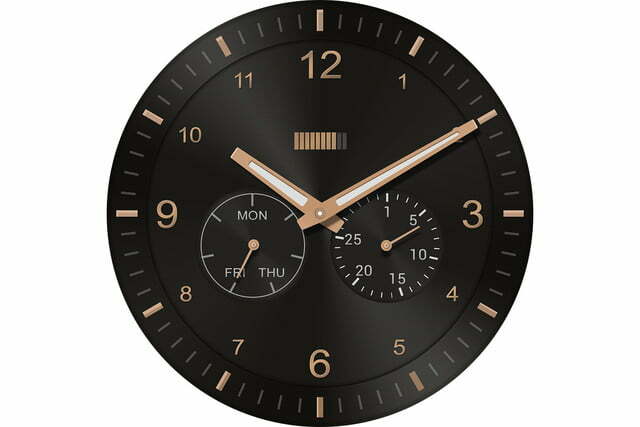 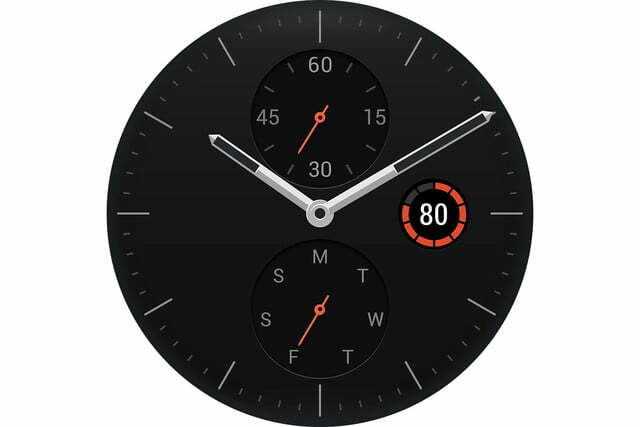 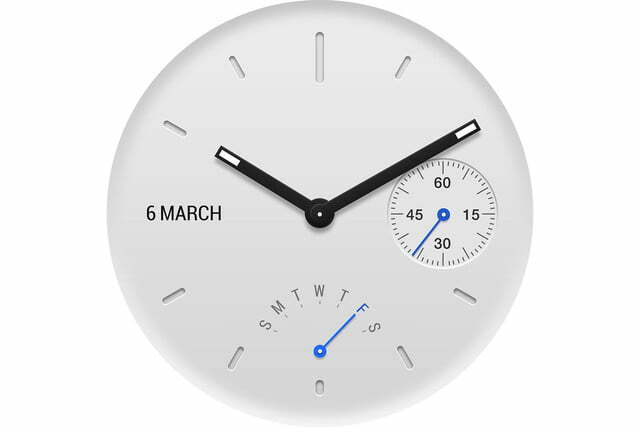 Updated on 06-11-2015 by Andy Boxall: Added in news that the Huawei Watch faces a delay until after the summer.